Using contractors is vital for local government to provide its service to the community. Whether using an administrative temp or undertaking high risk construction work, all contractors come with a degree of risk, and that risk should never be underestimated. Like all businesses, when you engage contractors, the OSH legislation provides you with a duty to ensure the safety and health of the contractor and the contractor’s employees. To assist you manage your contractors, we have developed the OSH Contractor Management Toolkit (pdf). Whilst only one part of the contractor management jigsaw, the toolkit provides you with guidance, actions, easy to follow flowcharts, templates and forms that will go towards ensuring working with contractors will not become a burden to your local government. Part A establishes your safety principles for managing contractors through the development of a policy and assigning responsibility. Setting the requirements and procedures for managing each contractor, Part B includes three steps. 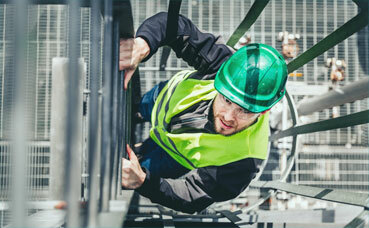 Defining the scope of work and classify the risk level is step one. Using this risk level, step two includes three easy to follow flowcharts for low, medium and high risk contracts. The flowcharts outline the steps to take when selecting a contractor, the actions to take when work is being carried out and the actions to take after the work is complete. Keeping records is an important component of contractor management, this is step three. For a complimentary hard copy of the OSH Contractor Management Toolkit (pdf), please contact the OSH team on 9483 8888.